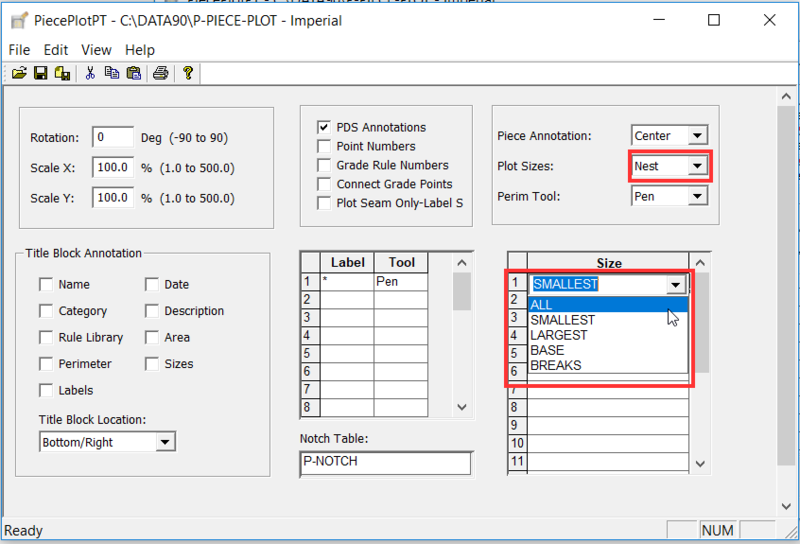 To plot pattern pieces as a graded nest, create a P-Piece-Plot parameter table with Nest option under the Plot Sizes field. You may also preselect the sizes you want to plot nested under Size field. Ex. may choose All for all sizes or smallest, base and largest.